Jiro Tamura is a Professor at the Law Faculty of Keio University and is a recognized authority on Japanese antimonopoly law, trade law and economic regulation. His research focuses on Antitrust, Trade Regulation and Negotiation. 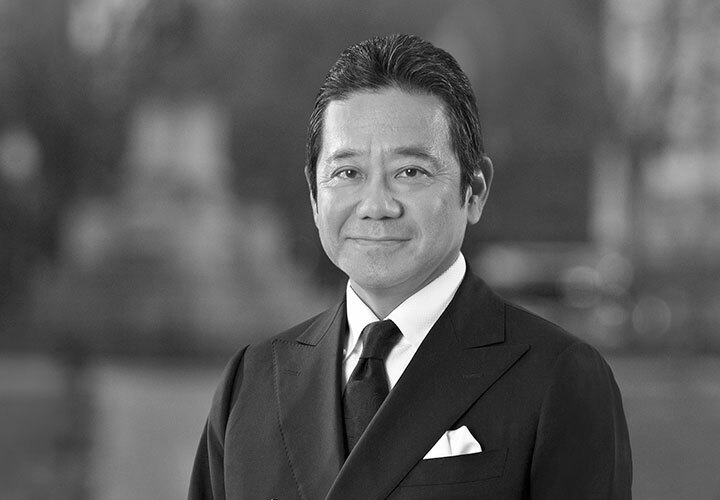 He was appointed Special Advisor to White & Case LLP Tokyo in 2002. Professor Tamura joined Keio University's Law Faculty as an Assistant Professor in 1987 and has had experience working in both the US Department of Justice and the Federal Trade Commission. He researched US-Japan Antitrust issues during his stay as a visiting scholar at the American Enterprise Institute in 1991. The following year, he was invited as a guest scholar at the Brookings Institution and participated in the "Competition Policies for an Integrated World Economy" project. Upon his return from the US in 1993, Professor Tamura transferred to the Keio University Policy and Management Department, and was promoted to full Professor in 1995. In 1997, he returned to the Law Faculty as Professor of Law. Since 2000, he has been teaching "Strategic Negotiation" at the Keio Marunouchi City Campus and has also been teaching "Business Negotiation" to top corporations. Professor Tamurawas a member of the Japan Fair Trade Commission (JFTC)'s Technical Assistance Committee, which, in association with the Japan International Cooperation Agency (JICA), assists developing countries in the field of competition policy. He was a member of the World Economic Forum Global Agenda Council on Conflict Resolution and Negotiation. He was also a member of the Committee on the Competition Policy for the 21st Century, which was the leading committee for all amendments under the Koizumi Administration. In his former duties as a member of the JFTC's Committee on the Amendments of the Anti Monopoly Act, and Chairman for the Antitrust Compliance Committee, he played a key role in shaping today's Antitrust policy. He is now a President of the Negotia Club (Japan) and an International Academic Advisor to the Harvard International Negotiation Program. His publications have generally focused on Antitrust Law and Trade Regulation as well as Negotiation, with a particular emphasis on comparative aspects of US and Japanese Antitrust Laws. He has also written numerous opinion letters to the JFTC and courts for corporations.